I was involved in a few discussions about the possibility of buying guitars with Brazilian rosewood (Dalbergia nigra) from the US – e.g. Fender Strats from the early 60ies – on the Strat-Talk Forum. After talking with two officials from Germany’s authorities / customs I got some new information which I want to present with this blog post. 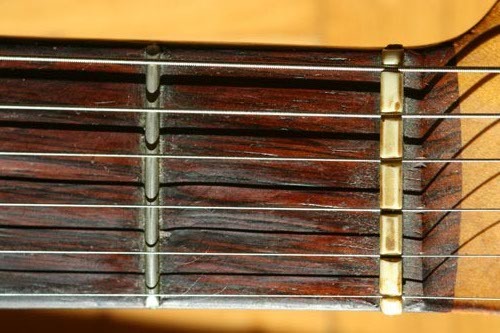 In Short – Brazilian Rosewood (Dalbergia Nigra)Brazilian rosewood is the wood of fingerboards on many vintage guitars like Fenders or Gibsons from the 50ies or 60ies. Due to its endangered status, it was CITES-listed on Nov. 6 1992 in Appendix I (the most protected, same status as ivory or some turtle shells), and illegal to trade. Guitar manufacturers replaced it with other sorts of rosewood, e.g. Indian or African rosewoods which are similar but not identical in look and sound.Although all these vintage guitars were built before the date Brazilian rosewood was protected, many restrictions apply to these as well, making it difficult (or even impossible) to sell or buy such guitars. Selling guitars with parts of Brazilian rosewood – both commercially and private – requires a special permission within the EU. Importing (or exporting) these into (or from) the EU commercially is in most cases not possible! However, for private purpose it is still possible to get export and import permission for pre-convention instruments, in other words guitars built before 1992 . Buying a Strat from someone in the US is not commercial automatically. If you don’t buy the guitar to resell it (or to make money from it in any other way, e.g. to sell photos of it), it is for private purpose. It does not matter here if you buy the guitar from a shop or a private person. You are allowed to perform with the guitar in public (seems ridiculous, but this was not sure some months ago) . This is because in such a situation you don’t primarily display your guitar commercially but your music. However, if you plan to display the guitar on e.g. a guitar show, or print pictures of it e.g. in a book you are going to sell, it is considered commercial. – or if the guitar has once been imported into the EU before 1992, and you are going to re-import it. If you buy a Strat on e.g. ebay, the first thing that is required is an export permission from the US. To get this is the seller’s job! The permission can be obtained from the U.S. Fish and Wildlife website (application form here) , it costs USD 75, and processing time can be up to 60 days (or even longer) !! The seller then needs to send a copy of the form (a scan via email will do, the original will travel with the guitar) to the buyer. With this export permission, the buyer can then get an import permission from his country’s authorities (in case of Germany, it is the Bundesamt fuer Naturschutz). The import permission will cost 20 Euros (price for Germany). Prices and authorities might vary from country to country, but the same should be true for any EU country as these laws are EU-wide laws. One thing that is very important: On the export permission from the US, field #15 must be stamped by the export customs office. For this reason, the seller must take the instrument to one of the export customs offices in the US to get it stamped there! If this is missing – which seems to be often the case when just leaving this job to the post service – the guitar cannot be imported into the EU, in other words will not pass the border to the EU. The missing stamp cannot be received afterwards. The guitar will then be confiscated and will remain in the possession of the government forever (but can e.g. be given as a permanent loan to a public music school etc.). The buyer’s money is lost then, no compensation. 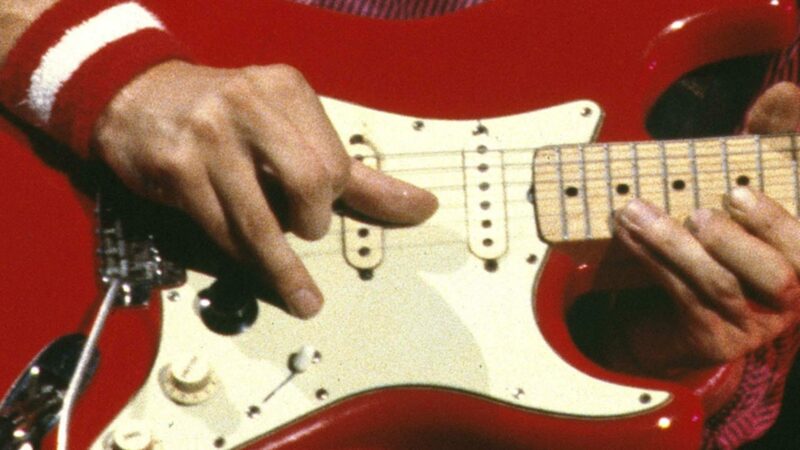 ⟵Interested in video tutorials or lessons to play the Mark Knopfler guitar style? It’s interesting that there are currently still new guitars for sale with brazilian rosewood fingerboards. Without reading the regulations I’m guessing that they have managed to prove that their stash of wood dates from before the restrictions on cutting were imposed. Not sure there is another way. I see some acoustic guitars with back and sides of brazilian rosewood, second hand from private sellers in ebay. what about this case ? if the seller not from US and sell it to someone in US. does the custom will check the type of the guitar, will check for docoments ? Wow.. i have a prs with braz fingerboard and i just took it with me from us to uk . Nothing happened. Can they someone arrest me for this act? Most of the above information regarding the buying , selling and reselling guitars containing protected species is completely wrong! Well,it is a blog post almost 5 years old but I am not aware that anything has changed drastically since then. Maybe you can be a bit more concrete and tell what you think is wrong.